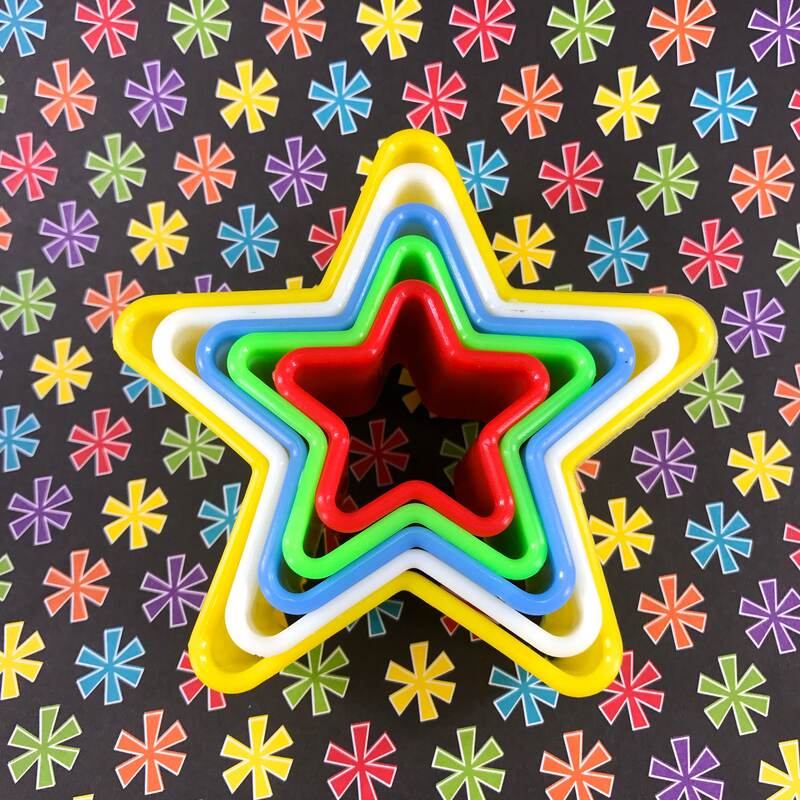 STARS Nested Cookie Cutter (5), Plastic, 3.75"
This is a cutter set of 5 plastic nested star cookie cutters perfect for cutting bubbly bath bar dough for star shaped solid bubble bath bars or for making bubble wands. 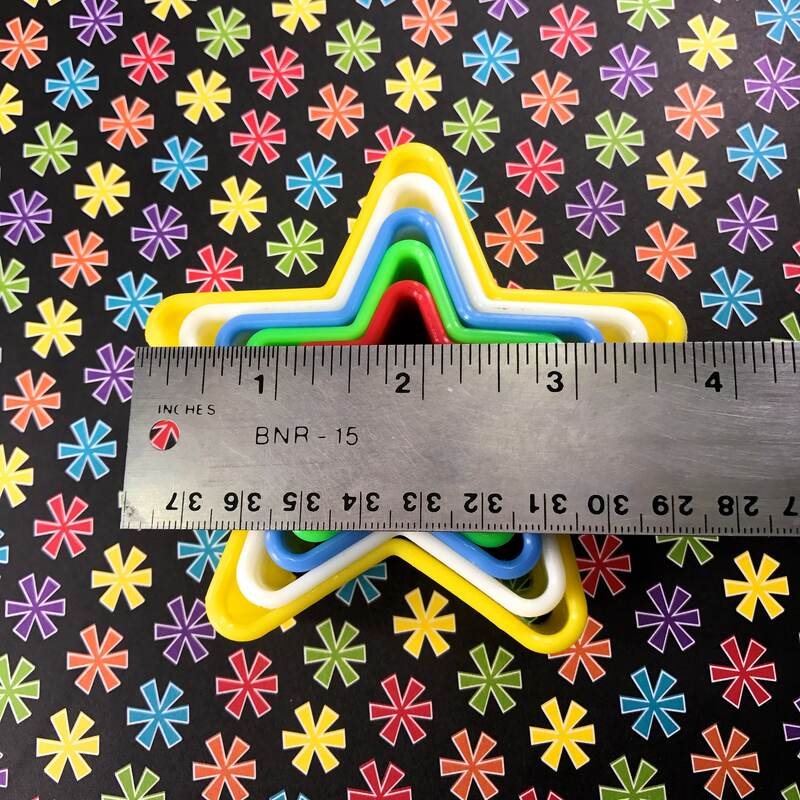 Cutting a star is the hardest thing to do for some reason and these are perfect for making nice, thick star shaped cut outs. The largest size is 3.75" and it's 1.5" deep. We have these nested cutters in stars, hearts & flowers. So, check out the other listings to see them all. Perfect for my Christmas cookies. Arrived promptly. Thanks!